Implementation of the Pact is a key component to living the association. If you are a leader of the association, are you using business well when applying the provisions of the documents governing the association? Are deed restrictions inconsistent application? How will the legislation and implementing regulations? The houses are extremely personal to the owners. The community association is a company created to maintain common elements and enforce restrictive covenants. It is understandable why there may be dissatisfaction among the two groups. During the development of guidelines for implementing the agreement, members of the Council must consider the impact on residents. Thinking of the whole community and not just a single demographic group in the development of guidelines or standards and enforcement procedures? How will you respond to the homeowners policy implementation? What was the intention of the developers in the development of the original restrictions and enforcement procedures? Board members and managers should consider all the circumstances in which a uniform application of the documents governing the association. Remain neutral and refrain from inspecting a specific house or restriction only ignoring other houses and compliance requirements. It is easier to log on pact violations more houses near the entrance to a building or a dead-At the rear of the property. However, be sure to inspect any property, either during the same visit or on a rotating basis so that each section is visited often and regularly. Besides the frequency, consider all the rules and regulations. Be sure to check and know the conventions before inspections. A restriction is not more important than the last. Weeds, trash cans, pets, and parking violations can be your most common, but are not more important to meet that improper storage of water hoses, building materials or boats. The Board is responsible for enforcing all the arrangements to be settled in accordance with procedures outlined in government documents. Legislation and government regulations impact the application of single-family housing developments and condominiums. 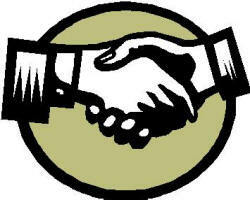 In fact, state and federal laws supersede the association agreements. Other examples of government decisions to ignore the documents of the community associations’ governing the ongoing efforts of federal, state and local agencies to review and implement green initiatives. New laws in some states require associations approved solar devices, outdoor clotheslines and landscaping of the desert landscape. While the new laws may conflict with the conventions of an association, government regulations take precedence and supersede the governing documents of the association. The application of the Covenant is more than just driving through a community and noting violations. Board members must use reasonable discretion in developing guidelines for their implementation, taking into account the impact on all owners and residents. Board members should put aside their personal feelings and opinions in a uniform manner so they can enforce restrictions in your community write whether they agree with them or not. They should also keep informed of new laws and changes that affect the association governing documents. How? By joining organizations like the Community Association Institute (www.caionline.org) and that your business requires management to assign a manager with the PCAM designation to your community. Where you sit in a meeting that determines where you are. Foreign diplomats are particularly careful in choosing the shape of the table and sits next to who, from the slightest misstep can have disastrous results. King Arthur held their meetings at the round table so everyone can participate freely without the king dictating the debate. There are lessons to be learned from this experience that can be applied millennia to deal with HOAs and membership meetings. Each format requires different considerations seats. Board meetings are designed for regular business transactions for the care and welfare of millions of dollars frequency of active members. As such, they should be held at places and times conducive to business. Meetings held in someone’s home, be a challenge. At Council meetings start. Members are entitled to attend board meetings as an audience, not participants in the discussion or vote. To facilitate this right, there should be seats for a reasonable number of them. If meetings are held in small rooms with space only for the board, guests are shut out and the impression is that they are welcome. They look for the house has wider to accommodate so much advice and guests. Avoid the use of living rooms with the exception of guest seating. It is very difficult to juggle the documents or take notes while sitting in a Lazy Boy. Meetings should be held at a table large enough to extend the programs, reports and other documents without having to continuously mix the pile. If using a kitchen table, remove everything except items meeting. Turn off cell phones home and during the meeting because the sound is always interrupted the discussion and pull someone out of the company in question. If a pit boss, the president should sit down and address the meeting. The head of the table is the historical place of authority and no reason to buck tradition. The secretary records should sit at the opposite end of the table so that all directors can be more easily seen and heard. Customers should not sit at the table meeting of the board as this is an invitation to participate actively in the business. Avoid the temptation to have the board to guests as a “panel”. This format of seats also invites the participation of the guests and makes it difficult for the board to talk to each other. Formal meetings of the Board Ideally the board should meet in a place that is designed for meetings. Basics include a large conference table, good lighting, bathrooms, climate control and room for guests. If none exists in the HOA, find meeting rooms in the area of ​​community centers, libraries and churches. They can be closer and cheaper than you think. There are several advantages to advance “the kitchen” in a formal meeting. The potential for distraction is greatly reduced: no phones, food, television, children, dogs and neighbors. The business meeting takes a real “business” of nature. People are less likely to remain in this environment or get into long discussions. As with the meetings at home, the seats must be appropriate for the board and the guests together at the conference table and invited to one side. Annual meetings of Owners Association. These meetings should be carefully choreographed. Always keep them in a formal meeting place large enough to accommodate all the owners. Usually take ownership of gallery style with the board on a table in the head unless your group is small enough to fit around a round table of King Arthur. Ideally, the head of the table should be “half moon” or “U” so that all managers can see each other and the audience. Prevent the board feel like panel unless the meeting is intended to be a question and answer session with the directors of the “line of fire.” Make sure you have adequate sound system, if the room requires it. Seating meeting is very important when it comes to getting things done efficiently. Set your sites for successful meetings and do not forget to check out their swords at the door. What do Board Members do anyway? Some people might wonder what Board Members do. Hopefully, this will shed some light on their duties and responsibilities for your community. Board Members have a set number of responsibilities when they volunteer for your community. Remember, they volunteer! So make sure you thank them for what they do. Board Members are challenged typically on a daily basis with different aspects from personalities and duties and responsibilities within the community. They have a definite purpose and specific duties to fulfill for your community. The role of the Board is to set policy, standards, budgets and procedures for the association. Probably the most important duty is the fiduciary obligations to the association. This can be characterized into two parts; the duty of loyalty and the duty of care. The duty of loyalty is requires the Board Member to act in good faith always in the interest of the community. Never acting in their own interest or in the interest of another person. The duty of care requires the Board Member to act in a reasonable, informed manner when participating on the Board and making decisions for the day to day community’s care. Board Members are able to delegate the duties of the association, but not the responsibility of their positions. It is the Board that is ultimately responsible for the association even if the Board hires a management company. They can direct actions on behalf of the association, but the Board is completely responsible to the community. · Care, maintenance and enhancement of common areas including facilities and physical property. · Management of community finances and any reserve funds. · Any employment the association has and the human resources of the community. · Interpretation, creation, enforcement of the rules and regulations of the community. · Community insurance needs and making sure guidelines for such are followed in the declaration. This is in no way a full compilation of everything your board members do, just an overview of some of their duties. CONDOMINIUM INSURANCE – WHO COVERS WHAT? (1) If walls, floors or ceilings are designated as boundaries of a unit, then all lath, furring, wallboard, plasterboard, plaster, paneling, tiles, wallpaper, paint, finishes flooring and any other materials constituting any part of the finished surfaces thereof are a part of the unit; and all other portions of such walls, floors, or ceilings are a part of the common elements. (2) If any chute, flue, duct, wire, conduit, bearing wall, bearing column, or any other fixture lies partially within and partially outside the designated boundaries of a unit, any portion thereof serving only that unit is a limited common element allocated exclusively to that unit, and any portion thereof serving more than one unit or any portion of the common elements in a part of the common elements. (3) Subject to the provisions of paragraph (2), all spaces, interior partitions, and other fixtures and improvements within the boundaries of a unit are a part of the unit. The Declaration of most associations specify that the association shall provide coverage for “common elements” and each unit owner must insure his “unit”. This would suggest that a unit owner would need to include Coverage A Building under the standard condominium unit owners HO6 to cover the elements of the unit that are actually part of the building (contrasted to “contents” such as clothing, TV‘s, etc.). The parts of the “unit” which cause concern are building type items such as floor covering, wall covering, built in cabinets and appliances, and interior non-load bearing walls and partitions. (1) Property insurance on the common elements insuring against all risks of direct physical loss commonly insured against including fire and extended coverage perils. 47C-3-113 (b) “In the case of a building containing units having horizontal boundaries (multi-story buildings) described in the declaration, the insurance maintained under subdivision (a)(1), to the extent reasonably available, shall include the units, but need not include improvements and betterments installed by unit owners. This seems to imply that the master policy should include all that comes with the unit at the time of purchase (with standard) allowances. The unit owner would need to insure the value of any upgrades under the Coverage A Building part of his HO6. Therefore, we conclude that the Association master policy must cover these described items and the amount of insurance selected should reflect these values. Another issue is the association policy deductible which can be as much as $10,000. Perhaps the individual unit owner is uncomfortable with such a large deductible. A solution would be to purchase an amount of Coverage A Building under the HO6 equal to the cost of his upgrades plus $10,000. The association policy is primary but it does not cover “upgrades” nor anything under $10,000, so the solution suggested will work. Also, the HO6 building coverage is not subject to a coinsurance clause. In order for this solution to work, the association Declaration must follow 47-C-113 (b) of the statute. The alternative method is to say in the Declaration that the associations will provide coverage on the “common elements” only and each unit owner will have to cover all parts of the unit (including walls, floor coverings, built-ins, etc.) This method calls for the developer/builder to inform each unit owner as to what the replacement cost of such items is so that the proper amount of Coverage A Building coverage can be obtained by each owner. Not only is this a cumbersome method, but it appears to be contrary to what is dictated by the statute. building’s reserve fund. Each board member has been asked to compile a list of ideas on areas of possible savings. One board member suggests eliminating the fresh flowers in the lobby. Another proposes turning off the air conditioning in the laundry room. And on everyone’s list is the dreaded maintenance increase. As usual, everyone begins to argue. Then a third board member mentions energy efficient lighting and explains how the building can save money and cut back on energy consumption at the same time by replacing the incandescent lights with fluorescents. The room becomes silent and everyone is listening. According to George Nunez, vice president of sales at Energy Saving Technologies, Inc., a full-service energy company that provides energy analyses for buildings, Co-ops and condos never really consider energy efficient lighting, they just buy new fixtures. We, on the other hand, look at the long-term results. There are many different forms of energy efficient lighting and all offer significant energy and financial savings. Although they emit a very good quality of light and are used most often, incandescents are the least efficient light bulbs available. Fluorescents produce four times as much light per watt, meaning that a 40-watt fluorescent bulb gives more light than a 150-watt incandescent bulb. They are a little more expensive but last up to ten times as long. According to the National Lighting Bureau in Washington D.C., a fluorescent bulb has a life span of up to 20,000 hours, whereas an incandescent bulb lasts a maximum of only 2,500 hours. The quickest payback is switching from incandescents to fluorescents, says Tom Sahagian, senior associate at the EME Group, a consulting engineering firm. In a cooperative corridor where two 60-watt incandescent bulbs comprise a light fixture, a 75 percent reduction of power and a savings of about $100 per fixture per year can be experienced if you install two 15-watt fluorescent bulbs, says Peter Berger, owner of Energy Saving Technologies. You can expect to save a little more than one dollar per watt per year in New York City if the fixtures are on 24 hours, he says. Fluorescent lighting is typically used in hallways, mail rooms, laundry rooms and other service areas, but there are other potential locations for energy efficient lighting sources throughout the building. Replacing the existing bulbs used for the EXIT signs with LED (light emitting diode) bulbs can reduce the wattage from a 40-watt incandescent to a one-watt LED. Although these lights are on 24 hours a day, seven days a week, they do not need a lot of light. The LED bulbs burn out once every 25 years. According to Nunez, the LED bulb will result in a significant savings within only a year. Exclusive to Energy Saving Technologies is the LESS System, a new technology installed in about ten Manhattan buildings. With this system, an occupancy sensor is installed in the fixtures in stairwells. When no one is in the stairwell the sensor will dim the lights to 20 percent illumination and when someone is in the line of sight, the sensor brightens to 100 percent illumination, reducing overall power consumption by 80 percent. Outdoor lighting als ffb o accounts for a big expenditure of money and energy, especially if incandescents are used. HID (high intensity discharge) bulbs emit a very strong light and use a lower wattage consumption. The bulbs maximize efficiency and minimize operating costs and the number of fixtures needed. These lights cannot be used indoors because they emit a purplish hue, but are at least five times as efficient as incandescents. Con Edison offers a rebate program for buildings that switch to more energy efficient lighting. According to a marketing representative for Con Edison’s enlightened energy services, buildings can experience a rebate of ten cents per watt of electricity saved when switching from either incandescents to fluorescents, from incandescents or fluorescents to HIDs or LEDs or from standard fluorescents to compact fluorescents. The rebate, which was offered at 25 cents, has been reduced to ten cents as of August. Con Edison also offers a rebate of 60 cents per watt of electricity saved for outdoor security lighting. The cost for parts and labor for any rebate project is not covered by Con Edison. However, your bill will be reduced if the existing fixtures are replaced or converted. Eighty to 90 percent of existing fixtures can be converted to fluorescents, says Nunez. 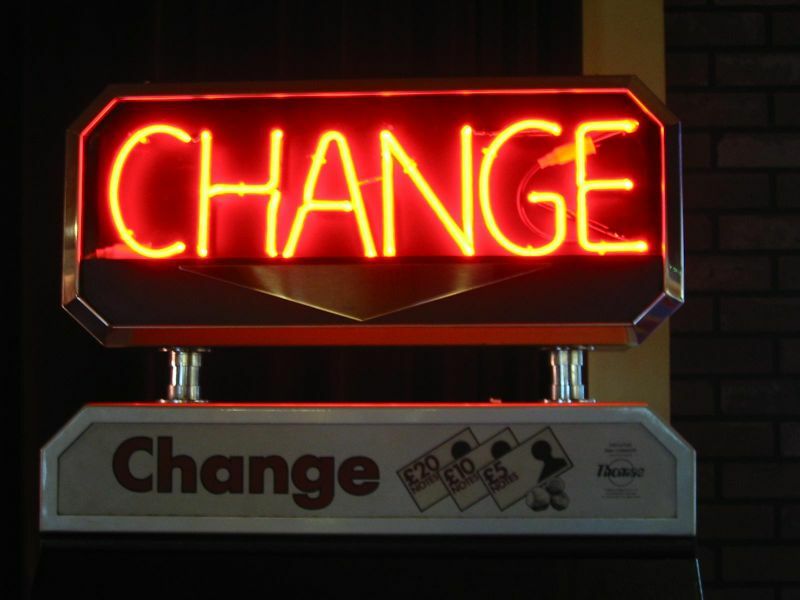 It’s a great time to upgrade and you can justify the costs by converting. As long as the building is a commercial customer and a customer of record it can qualify for the rebate. Contact Con Edison for an application. Savings have been seen at The Pinnacle, a condominium in Forest Hills, since it replaced incandescent lighting fixtures with fluorescent lighting in the hallways about three years ago. The 926 fixtures each used two 40-watt bulbs, which were replaced with two ten-watt fluorescents that produce the same amount of light as a 60-watt incandescent bulb. The project reduced the daily energy consumption from 74,080 to 18,520 watts. It doesn’t make sense not to switch, says superintendent Angel Carregal. The savings can be seen within months, not just with Con Edison, but also because fewer bulbs are being purchased and less manpower is needed. The annual electrical costs for the 219-unit building dropped from about $159,000 to $129,000a savings of $30,00 per year. In addition, The Pinnacle replaced the 75-watt incandescent lights in the lobby and banquet area with 15-watt screw-in fluorescents. The result was a daily energy savings of 4,620 watts. At a small co-op on Central Park West, Nunez recently helped replace the 65 incandescent fixtures in the hallways with fluorescent lighting. What was once costing the building $75 per fixture per year, is now costing only $15 per fixture per year, for an annual savings of $3,900 per year. While it is clear that significant savings result from switching to fluorescents, the switch from standard fluorescents to compact flourescents also results in savings. The standard fluorescent tubes, usually two or four feet long, use a magnetic or electronic ballast in or near the fixture which consumes a minimal amount of energy, usually two or three watts depending on the size of the ballast. The ballast is a device that provides the starting or stabilizing of the voltage needed in a circuit. If you still have the old fluoroscents, you can replace the larger bulbs that use a magnetic ballast with a smaller bulb that uses an electronic ballast. This will cut your electrical consumption in half, says Manuel Patino, director of project development at EUA Cogenex Inc., a nationwide company specializing in energy conservation projects. The new compact fluorescent lighting is a smaller bulb, emits brighter light, comes with the ballast already built-in, uses screw-in bulbs and replaces incandescents. A seven-watt compact fluorescent can replace a 40-watt fluorescent. George Stanton, vice president of Sygrove Associates, an interior design firm, recommends fluorescents in the hallways an c11 d service areas but not in the lobbies unless there is a ceiling cove. Lobbies should have a nicer quality of light, an intimate homey feeling you can’t achieve with fluorescents. Over the years fluorescent lighting has become more attractive and it now comes in different temperature controls which offer different degrees of color and design. When Sygrove Associates designs a hallway, they use three fixtures with different fluorescent bulbs and hang up sample wall coverings and carpeting to see what light looks the best with the materials. There is a lot of flexibility and improved quality of light with the new fluorescents. The old ones are slowly being phased out, says Stanton. Saving money is the driving factor for co-op and condo buildings, says Nunez. Some buildings have the same fixtures for years. But technology has come a long way. Switching will result in the same amount of light but a cheaper electric bill and less energy consumption, he says. One of the earliest advocates of preventive maintenance was Ben Franklin. He wisely wrote: “A little neglect may breed mischief…for want of a nail, the shoe was lost; for want of a shoe the horse was lost…” Old Ben nailed what happens when relatively small repairs. Little things have major impact on homeowner association assets. For example, a small lack of flashing can lead to major dryrot, structural problems and major expense. Ka-CHING! To perform maintenance that keeps the property safe and functioning. To promote the most effective and efficient use of resources. To estimate the human resources needed for proper operation and maintenance. To determine long range funding requirements and project scheduling. To evaluate the effectiveness of the maintenance effort. Preventive maintenance programs are common with elevators, HVAC and pool equipment, usually because there is a service contract. Other components, like paving, roofing, decks and paint require monitoring and planning. Functional obsolescence is also a legitimate concern. Lack of parts, improvements in efficiency, computerization and changes in fire and building code can make equipment obsolete even though it’s working just as designed. This is particularly applicable to elevators, boilers, pumps and HVAC. Buying new equipment is often a great investment in reduced operating costs. For example, by replacing all common area lighting with compact fluorescent bulbs, the light level will be significantly increased, the energy consumption reduced by 70% and the useful life of each bulb extended by 10-15 times thereby saving an enormous amount of labor costs. Within 12-18 months, the cost will be recouped in energy savings and then, it’s money in the bank. So, what is the best way to address major preventive maintenance? Two words: Reserve Study. A Reserve Study identifies all the significant components that the HOA is responsible to maintain, assesses current condition, cost of repair and replacement and charts a 30 year maintenance plan to keep the components in their best condition. The Reserve Study can provide for cyclical preventive maintenance so components achieve their optimal lives. For example If cracks, minor repairs and sealcoating are performed at least every five years on asphalt paving, major repairs will not be required for 20-30 years. If this relatively inexpensive preventive maintenance is not done, significant and costly major repairs will be required much sooner. Pay a little to save a lot. A Reserve Study will also guide the board how to systematically accumulate funds without special assessments. A full funding plan will have all owners contribute a fair share relating to the benefits received. A fair contribution plan means no one will get a better deal than anyone else and the money will be there when needed. The Reserve Study is absolutely the best way to prepare for a future which will certainly come to pass. Remember Old Ben’s nail analogy. Little things have a way of causing great things to happen. But rather than fail in the little things, plan for them and hit this nail right on the head. 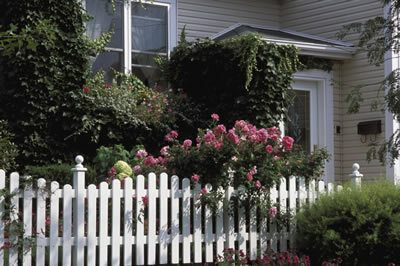 Fences provide privacy, boost safety and security and can add just the right aesthetic touch to the landscape. But they also require maintenance, repair and replacement. Fencing can be an ongoing problem for all associations, especially as communities and their features begin to age. Associations must budget for the care of these integral structures. Deciding when and how to repair your fencing, replace worn down or rotting parts or hire someone to handle maintenance can mean the difference between meeting or exceeding your annual budget. When faced with aging fencing and the high costs of replacement, community associations have to form a strategic plan of action to ensure a cost effective use of operating funds, while at the same time employing an effective use of reserve funds. The case study that follows demonstrates how investigation into a current maintenance process can result in better service for residents, cost savings, improved budget forecasting and an increase in reserve funding levels. A community of approximately 700 single-family homes located in North San Diego, Calif, was recently faced with the challenge of developing a long-term strategy for managing its fences. Like many communities, this association had been allocating resources for fencing only through reserve funds, and solely on the basis of major component replacement and repair. The existing wrought iron fence was installed in 1990, and originally was painted with two-part epoxy paint that lasted about nine years. Subsequently, the fence was painted in 1999 with Frazee Am-Plate paint, which did not last as long and is currently deteriorating. In reviewing its procedures, the association sought to find a long-term, sustainable process for managing its fence maintenance and repair budget. With the assistance of its management company, the association conducted a study and analysis to review the fencing asset and refurbishing project. The association had been using a deferred maintenance-only approach for the community’s 28,000 linear feet of fencing, which comprises approximately 2,600 four-by-four wooden posts and nearly 3,200 iron panels. The fence was being repaired only when there was noticeable damage or paint erosion, which is often costly and inefficient. Under the deferred maintenance and replacement approach, which was dictated by a previous reserve study, fencing was broken into four categories: phases one, two and three and pool fencing. All fencing components had a remaining life of two to seven years with a total replacement cost of more than $1.6 million. All the wrought iron fencing was slated for painting costs of $180,000 every five years using reserve funds. Until recently, the association did not incorporate into the operating budget a proactive annual maintenance component to coincide with strategic designations of reserve capital. There’s a better way to maintain fences. You wouldn’t repair your car only once every seven years; you perform ongoing maintenance. The same logic can be applied to repairing and maintaining the association’s fencing. The other issue for the association had been response time. Previously, when a homeowner submitted a request for fence repairs near or around his or her home, the process from initial review of the request to completion usually took two months or more. To begin to resolve the inherent problems in that approach, the association needed to investigate the costs related to a broader scope offence overhaul and repairs. The association collected three bids to bring the fence to like-new condition using reserve capital and then funds from the operating account for ongoing maintenance. The association’s reserve study analysts deemed the funding strategy acceptable upon the premise that the maintenance program would be reviewed on an annual basis. Beginning this year, the association started using an immediate portion of reserve funding-approximately 25 percent of the $1.6 million estimated for complete replacement-to update its fences. The association allocated enough reserve funds to add a buffer to all of the contractor bids, which were substantially below the allotted amount. It wanted to allow enough room in case there were rising costs. In addition to the earmarked funds to replace the fencing, all of the bids included quotes to maintain the fencing in a like-new condition for an indefinite period of time. The maintenance includes 40 hours per month, allocating $1,600 in labor costs and $600 per month for materials. This monthly maintenance strategy allows the association to implement ongoing, proactive fence maintenance rather than the reactive, deferred maintenance-replacement approach that was so problematic. In addition, the association allotted $100,000 every eight years in reserve funds as a strategic designation of capital that allows for catastrophic fence failure or other needs. In total, the association will designate approximately $1.6 million for fence repairs over the next 30 years. This new program shares the cost between reserve funds and the operating budget. It’s the most cost effective and desirable way to maintain the fence for the life of the homeowners association. The association will put out a secondary bidding process in the future to account for up-to-date considerations and cost changes. The new fence maintenance program addresses several major issues that the association had been facing. First, the program allows for improved service to residents by greatly reducing the need for delayed emergency repairs. Next, the program will save the association more than $500,000 in maintenance costs over 30 years. Finally, by allocating fence repair and maintenance costs to both operating and reserve funds, rather than the previous reserve funded-only “major component and repair” line item, this approach has raised the association’s reserve funding level more than 30 percent. OK, your HOA’s changing some rules. But the gall of some owners! They want to be exempt from your new rules, or “grandfathered in.” Should you grant their request? Here, we discuss the pros and cons of creating exceptions for rules, give four examples of when it’s smart and not smart to grandfather residents in, and provide tips to ensure the grandfathered rules don’t last forever and are enforceable. What would be more delightful or heartwarming than the sights and sounds of laughing and playing in your community? Every effort should be made to ensure that the joys of childhood continue in associations, especially with the importance of putting community back into community associations. From a child‘s perspective, “kid friendly” means fewer rules and restrictions. From the adult’s perspective, it means only implementing and enforcing those rules that are absolutely necessary to protect themselves, the children and association property. The existence and enforcement of reasonable rules can protect an association from liability, but liabilities remain, especially when the association doesn’t or can’t enforce those rules all the time. Just as an owner might sue an association based on the board’s failure to enforce a nuisance rule, an owner also could sue if the association failed to enforce a rule that prohibits children from climbing common element trees or playing in common element parking areas. Theoretically, the association passed the rule because of the inherent danger associated with the activity, thus the association had a duty to enforce its rule to prevent the danger. Would such a theory hold up in court? Much stranger things have happened. Associations should pass only rules that are essential to the health, safety and welfare of their residents–and ones that they can and will enforce. But what rules are essential? Each association must answer that question based on the circumstances and needs of the community. However, let’s take a look at the tree-climbing and parking-lot rules mentioned earlier. The association should explore next whether it needs the rule as a deterrent-preventing climbing through fear of consequence. If the fear of falling is not a natural deterrent, I suspect that the fear of a fine or sanction (which mom or dad would have to pay) is not likely to do the trick–at least from the child’s perspective. Nor will it have a deterrent effect on parents. Those parents who would keep their children out of trees even if no rule existed don’t need the rule. Similarly, those who feel it is OK for their child to climb trees probably would find the rule silly and would not be deterred. Then, does the association need the rule to protect association or owner property, or limit association liability? As for the property issue, trees lose limbs and branches naturally, so the loss of a few to climbers probably isn’t a big deal. If damage occurs to a tree on a lot, the owner probably has the right to make a claim against the master policy as well as his or her homeowners insurance policy. The liability issue is more problematic. The mere existence of the rule may invite liability because the association will not be able to monitor all trees all the time. In actuality, most associations will not watch their trees unless a board member or manager just happens along and sees a climber. Although it might seem ludicrous, a litigant certainly could claim that he or she relied upon the association’s rule to keep his or her child out of trees, and thus out of harm’s way. The real problem, of course, is that this rule is not kid friendly. And, if the association passes such a rule without one or more of the elements mentioned earlier being of primary concern to the welfare of the association, the rule is not likely to have a positive effect. Similarly, a rule prohibiting children from playing in common element parking lots appears to be a no brainer because it benefits all. However, looks are deceiving. In this case, both children and parents should know that playing in the parking lot is inherently dangerous. Parents also know that smaller children must be watched because a passing motorist may not be able to avoid a child darting between parked cars. Motorists also know to drive cautiously in a residential parking lot. Accordingly, a rule against playing in the parking lots is superfluous for warning purposes. This rule won’t deter children from playing in the parking lots. Presumably, smaller children will be kept from these areas by parents or older siblings. Older children probably will play there whether the rule is known to them or not. Kids have been playing ball and skating in streets and parking lots as long as there have been streets and parking lots. Finally, the existence of this rule is likely to have little positive effect on the association’s liability in the event of a tragedy. Let’s say that a child is injured by a vehicle in the parking lot. The association’s liability for such an incident, if any, will probably concern the lighting level in the parking lot or perhaps poorly placed plantings that impeded the driver’s view. If these circumstances contribute to the likelihood of the injury, having a rule against playing in the parking lots will not protect the association from liability. And, as in the previous example, a grieving parent could claim that, had the association enforced its rule, the child would not have been injured or killed. So what appear at first impression to be two reasonable rules really have no redeeming value; they are not kid friendly. They are difficult or impossible to enforce. If anything, they might add to an association’s potential for liability. In short, they’re unnecessary. 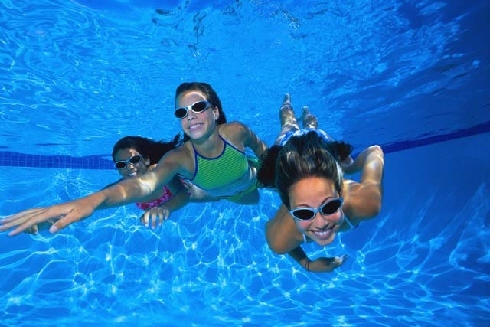 The only kid-centric rules associations must have are those related to the swimming pool. Some associations also have rules related to the minimum age for use of tennis courts. Associations with a workout facility may need to have rules about equipment use as well. Otherwise, the best rules for children are the ones imposed by their parents. After all, the parents will be held responsible for damage done by children that is not covered by insurance.